Purchase with any major credit or debit card by clicking the button below. Note that you do not need a PayPal account to complete the transaction. Your license will work on any of the supported platforms (Windows, Mac, or Linux), and you may install simultaneously on up to three personally owned devices. Please allow up to 24 hours for license fulfillment. 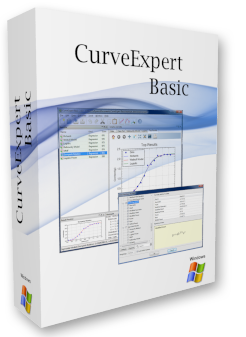 Registered users of CurveExpert Basic can upgrade to either CurveExpert Pro or GraphExpert Pro at a discount price of $35. Visit the registered users area to upgrade, using the same password given to install CurveExpert Basic. 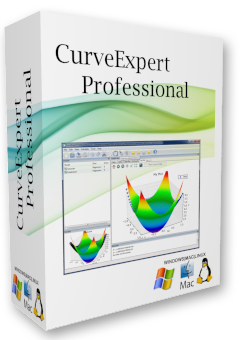 Registered users of CurveExpert Pro 1.x can upgrade to 2.x at a discount price of $15. Visit the registered users area to upgrade, using the same password given in your licensing email for CurveExpert Pro 1.x. For large orders of CurveExpert Professional (multiple copies), discounted purchase prices are available; simply click the link and pick the desired quantity. Note that you should remove "extended download service" from your cart, since you can always redownload the software here at the Hyams Development website free of charge. Please contact me if you have any questions about a site license order. 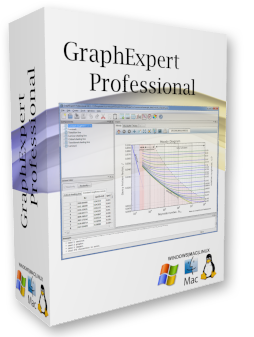 For large orders of GraphExpert Professional (multiple copies), discounted purchase prices are available; simply click the link and pick the desired quantity. Note that you should remove "extended download service" from your cart, since you can always redownload the software here at the Hyams Development website free of charge. You may install CurveExpert Basic simultaneously on up to three personally owned devices. Please allow up to 24 hours for license fulfillment. For large orders of CurveExpert Basic (multiple copies), discounted purchase prices are available; simply click the link and pick the desired quantity. Note that you should remove "extended download service" from your cart, since you can always redownload the software here at the Hyams Development website free of charge.